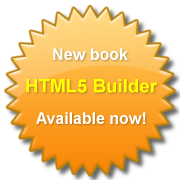 Along with my existing book on FireMonkey for Delphi XE2, my new book for HTML5 Builder is now available. I found your extensive knowledge of object oriented programming and your ability to move between Delphi and C# to be a particularly effective learning mechanism for me. I enjoyed your friendly style, flexibility to customise your training to my needs, and would not hesitate in recommending your training services. When we were looking at organising training for our developers we contacted a number of training providers, however we found that their courses were inflexible and did not suit our needs. Graeme however produced a course which was designed according to our requirements. The best thing however, was that when we deviated from the course material, that Graeme knew the answers! My thanks for the training... I haven't attended too many training courses but for the ones that I have I found the instructor to be a theoretical genius and a practical novice. Some weren't that great on the theory! I found that you had both the theory and the practical experience.